The team attend and support local events to showcase how fantastic the sport of hockey is. 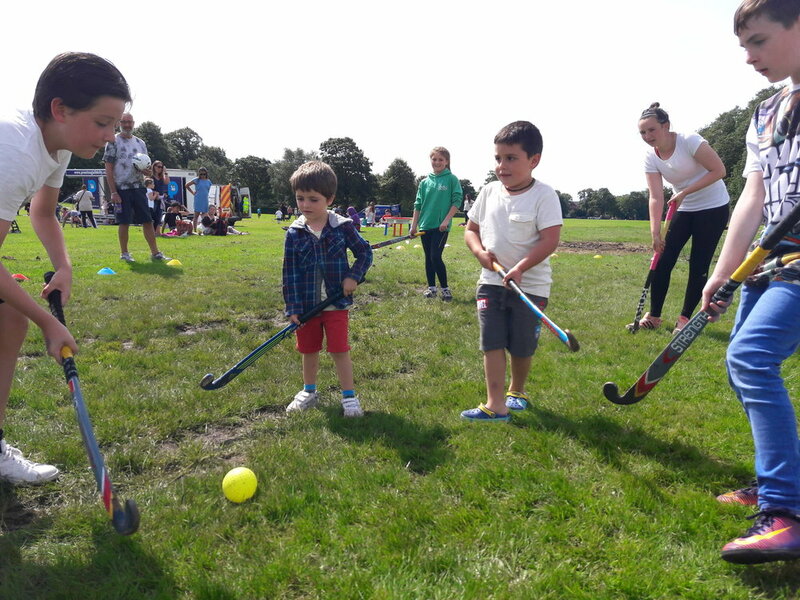 These events range from freshers fairs in both colleges and universities, school open days, summer fayres, Brownies and Guides groups and we regularly work with the local council to engage hard-to-reach communities. Just get in touch if you would like us to support one of your events. We can and have played hockey anywhere...even in a car park. We want to promote the fact that the sport is totally accessible and that you can be very creative in where you play the game! Our marathon match lasted nearly 3 hours on Preston's Moor Park for Preston City Council's 'Get Together' event.